Client: Campaign for Nuclear Disarmament. Well, not really a client, which is why this is under the ‘Art’ tab. 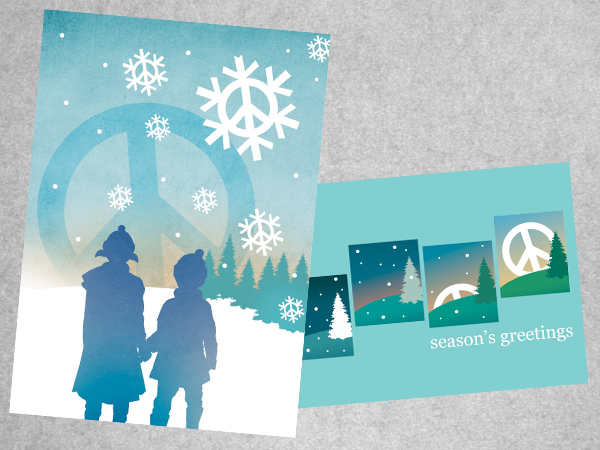 These are two submissions to CND’s competition for a Seasons Greetings card design for 2008. The design on the left was the competition winner!